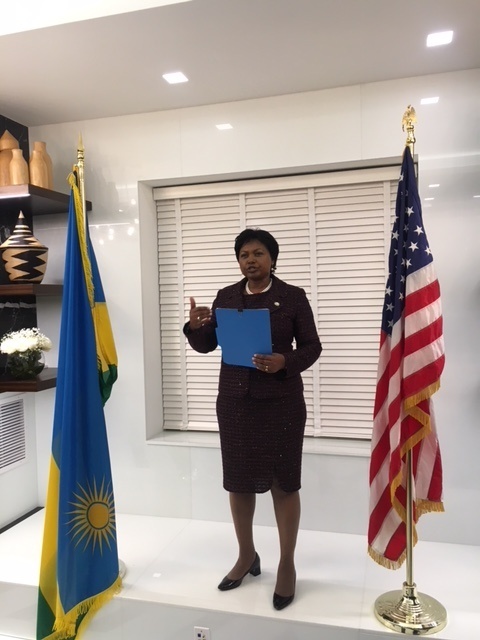 On Friday, February 1st, 2019 the Embassy of Rwanda in the U.S. hosted a Heroes Day cocktail reception at the newly renovated chancery in Washington, D.C. 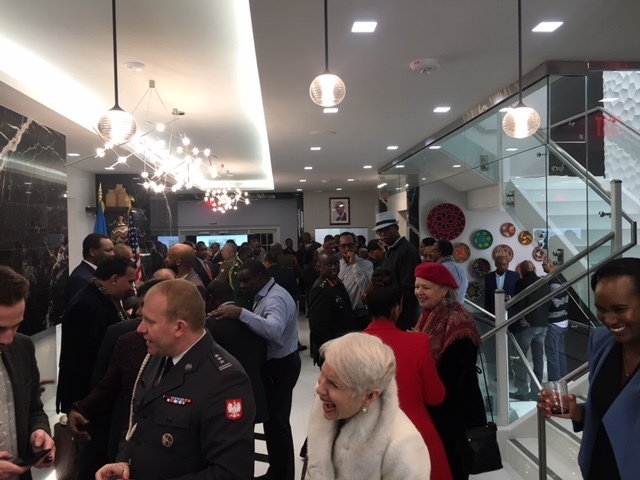 Despite freezing January weather, about 100 people, members of the diplomatic corps, numerous Defense Attachés, friends of Rwanda, and members of the Rwandan community joined the Embassy to mark this occasion. 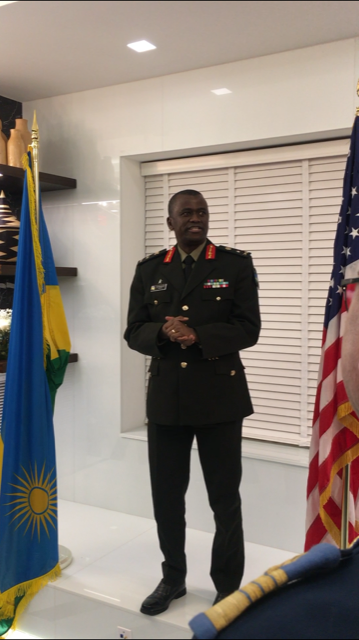 In his welcoming remarks, Brigadier General, Vincent Nyakarundi, Defense Attaché at the Embassy of Rwanda thanked those in attendance for honoring the invitation. As a member of the forces that liberated Rwanda 25 years ago, he expressed his high regard for this day. 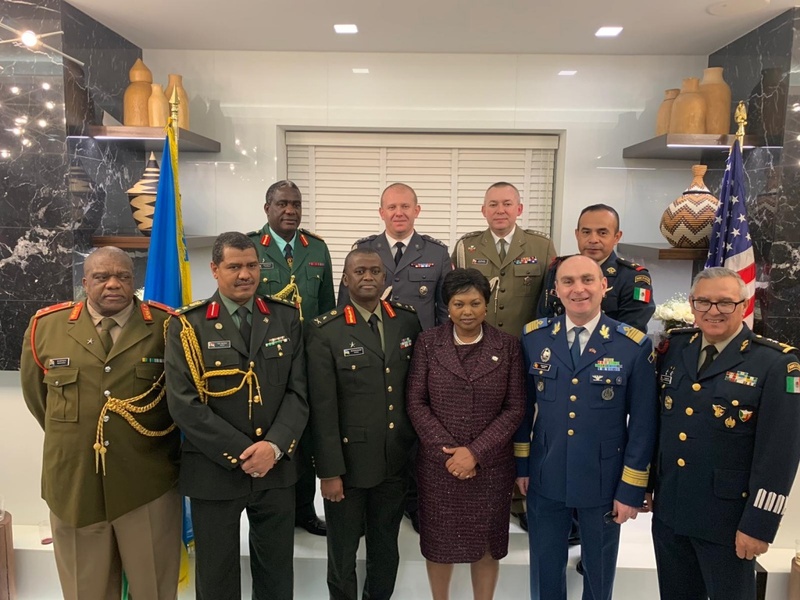 She called all those present to uphold integrity and patriotism in the pursuit of the betterment of their nations and ultimately the world. This event also served as an open house opportunity for the guests. The Chancery was recently renovated into a state-of-the-art building, equipped with smart technology and environmentally friendly use of energy.